Nora Mae Reeves Arnold, 98, died Tuesday, March 9, 2010, at Belle Meade Nursing Home. She was born in Muhlenberg County on Oct. 3, 1911, to Rose and Maude Reeves. In August 1929, she married Clifford Arnold. She was a wonderful homemaker, wife and mother. Her greatest joy was cooking for her family and doing for others. She loved to quilt, garden and, most of all, go fishing with her husband and grandchildren. She was a member of Dunmor Baptist Church. She was preceded in death by her parents, Rose and Maude Reeves; her husband, Clifford, in 2006; two grandsons, David Casebier and Raymond Arnold Jr.; brothers Marvin, Melvin, Edward Howard, Floyd and Ernest Reeves; and sisters Nellie McFarland, Mildred Arnold and Kathlyn DeLong. Survivors include two daughters, Dorothy (Glendal) Casebier of Drakesboro and Sandra (Bill) Crume of Caneyville; a son, Raymond (Bea) Arnold of Central City; grandchildren Elizabeth Casebier of Drakesboro, Jim Casebier of Central City, Kim Washburn of Columbia, S.C., Danny Beasley of Mukilteo, Wash.; great-grandchildren Stephanie Casebier, Michelle Riffle, Audra Baumert, Chad Arnold, Jarrod Arnold, Kristen Washburn and Stephen Washburn; great-great-grandchildren Erin Phelps, Ellee Phelps, Erika Phelps, Jessy Jenkins, Carley Arnold and Kade Arnold; three sisters, Pauline Brown of Valparaiso, Ind., and Helen DeLato and Frances Hardison of Madisonville; a sister-in-law, Irene Hicks of Evansville; and several nieces and nephews. We would like to say a very special thanks to Ann and Greg Sparks and all of the Belle Meade Nursing Staff, all of whom were so very kind to our mother. Services are at 11:30 a.m. Friday at Tucker Funeral Home in Central City, with Brother Russ Stephens, a former pastor of our dear mother, officiating. Visitation is after 9:30 a.m. Friday at the funeral home. 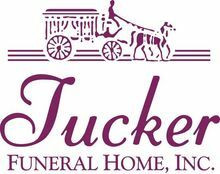 Online expressions of sympathy can be made at www.tuckerfuneralhomes.com. The beautiful and interactive Eternal Tribute tells Nora's life story the way it deserves to be told in words, pictures and video. a wonderful person in Nora.